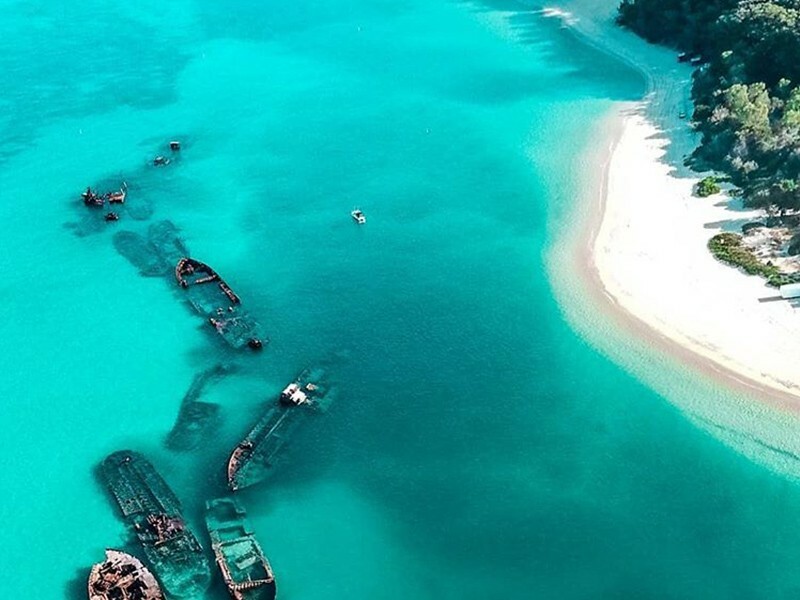 Moreton Island is a wonderland of incredible experiences. Like Alice falling down the rabbit hole, you will need to prepare yourself for some memorable adventures. From flying down sand cliffs on toboggans, to hand feeding wild dolphins, to sipping cocktails pool side while the kids play, this holiday has something for everyone. One of the best parts? The world’s third largest sand island is only a 75-minute cruise from Brisbane, making it easily accessible for those looking for a slice of island paradise. A rare opportunity anywhere the world, getting the chance to hand feed wild bottlenose dolphins is a bucket list item for sure! 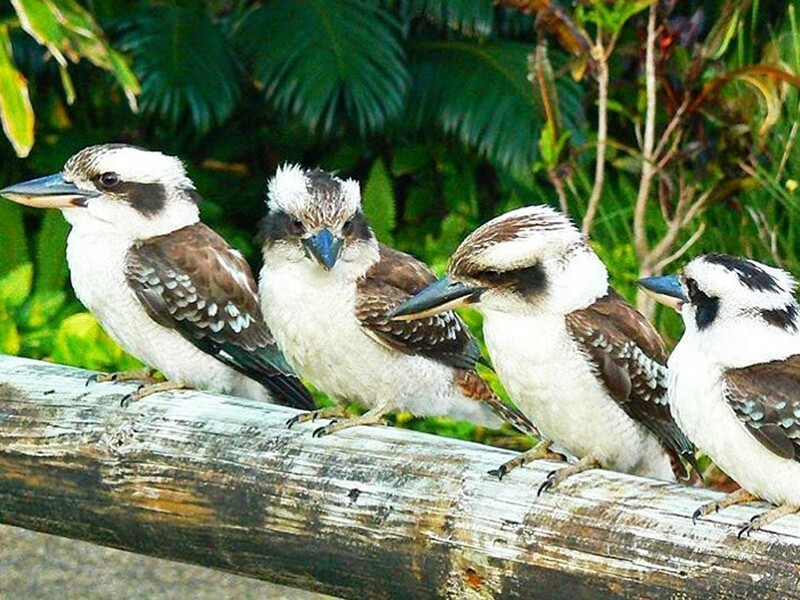 You'll also get to learn about their unique and distinct personalities with your Tangalooma guide. In 1930's Robert Alexander Gow sunk 3 ships to shelter his 12 meter boat, creating the Bulwer Wrecks. Later on in 1963, another 15 ships were deliberately sunk to create a breakwall for small boats. Both are great snorkelling, diving, and swimming spots! 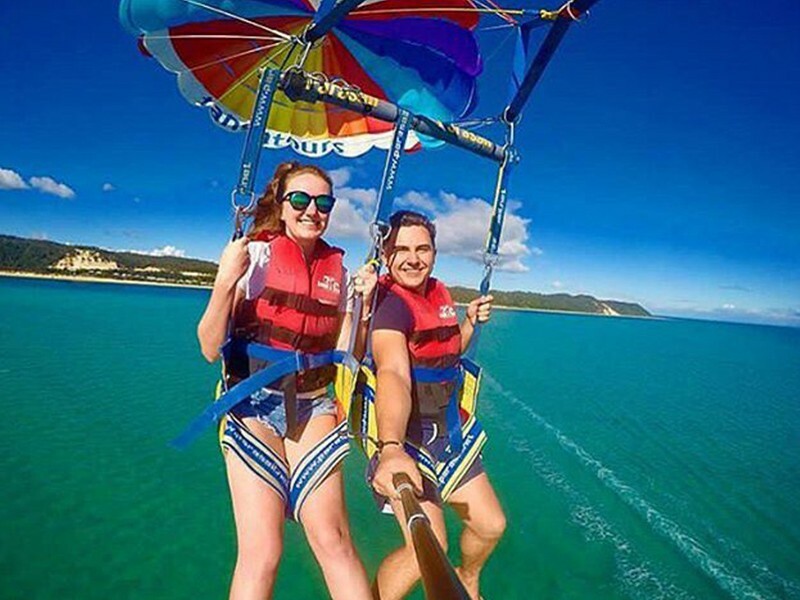 This is our favourite way to fuel your need for speed - flying down enormous sand dunes getting up to 40 km per hour while appreciating some pretty spectacular views. 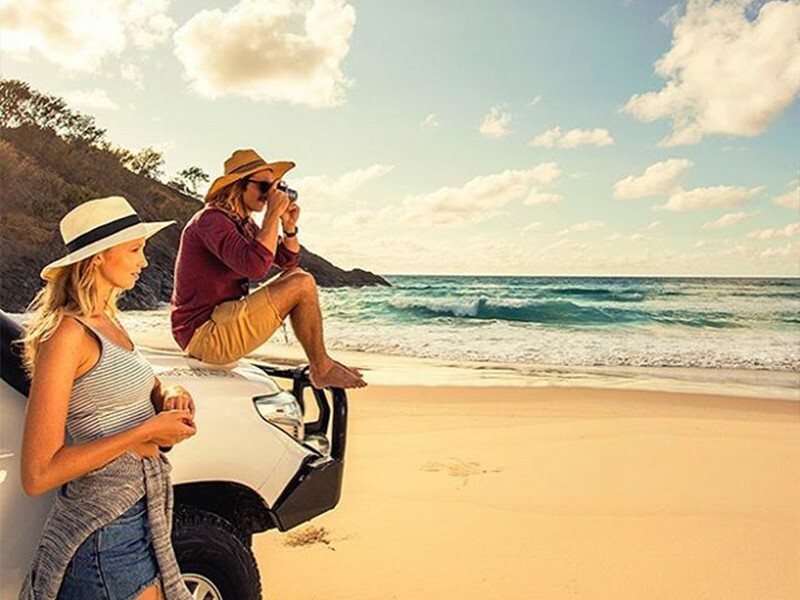 This beautiful spot on Moreton Island is actually a sandy bottomed, fresh water lake formed through the natural catchment of rain over many years. The waters are infused with tea tree leaves surrounding the lake - so your skin will feel divine afterwards! 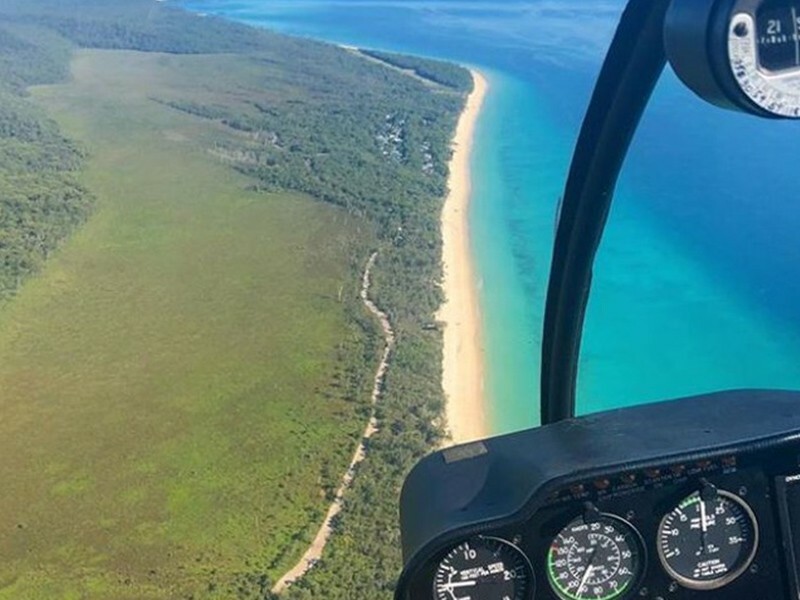 Get a bird's eye view of this stunning island including the wrecks, sand dunes, Cape Moreton and more from only $90 per person. One of the best ways to get up close and personal with the marine life without swimming is with a glass bottom kayak. This tour starts with a boat transfer out to the wrecks where you can then kayak a short distance to the underwater ships to enjoy the view! Not only will you see Queensland's first lighthouse, but this spot is a great vantage point to spot whales, turtles, dolphins, manta rays, dugongs, and even sharks! Up for a challenge? How about a climb to the top of the highest coastal sand dune in the world? With your track made of sand, your work is cut out for you, but the uninterupted 360 views is well worth the 2.5k return trip. Getting it's name from the sparking champagne effect of the small waterfalls created when the ocean's waves crash over the volcanic rock break wall. It's the perfect place to swim and relax! 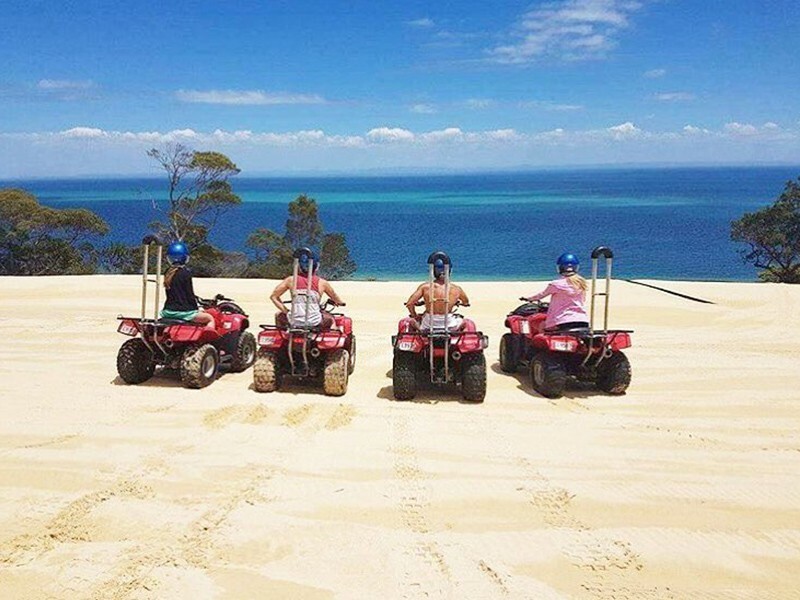 This tour is great, as it's for all experience levels and you get the thrill of riding a quad bike paired with the amazing views of bushland and beach. This ususal landscape looks like something straight out of star wars! The red clusters of sand formations are located on the eastern side of the island at the end of Harpers Track. Part of the Moreton Bay Marine Park, Flinders Reef is a fully protected marine sanctuary full of corals, tropical fish, diverse landscapes including gutters, caves, and walls. 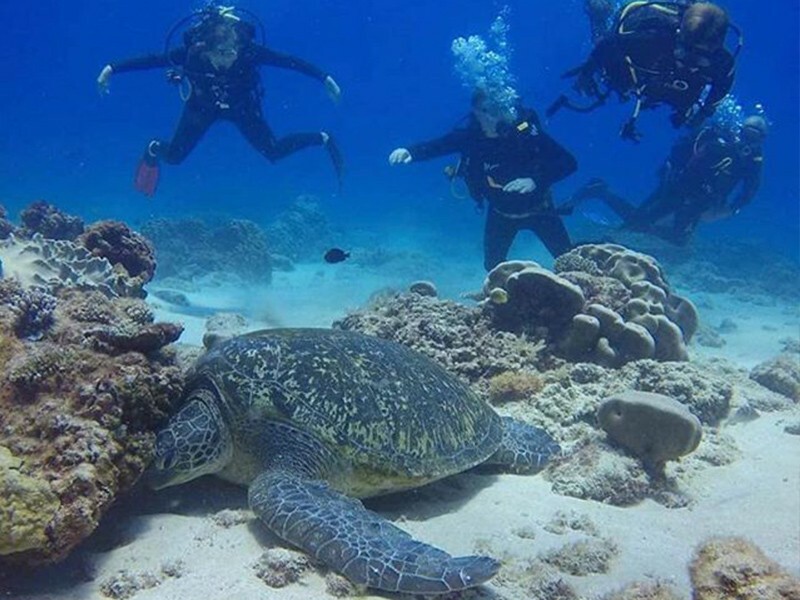 What makes Flinders Reef truly special is that it is a turtle cleaning station! Meaning diving here you'll likely see a green, loggerhead, or hawksbill turtle. 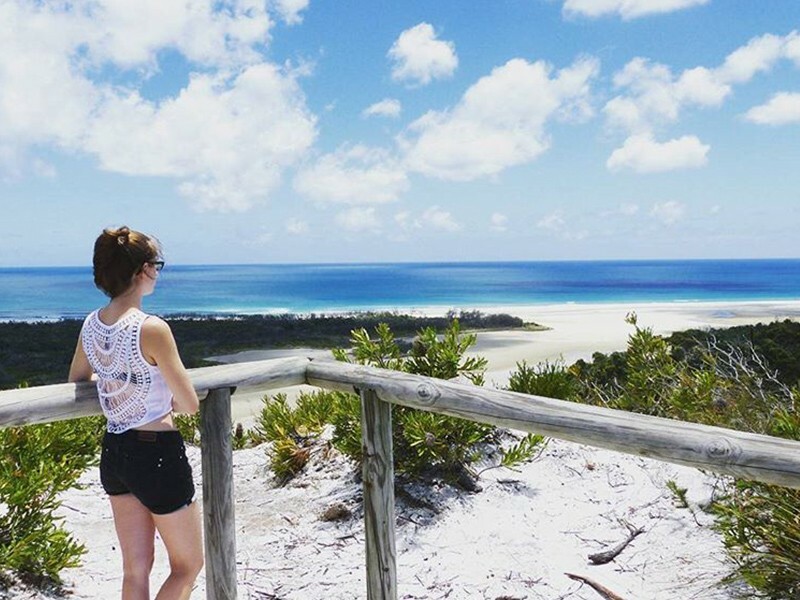 This unique tropical bar is a must do on your Moreton Island to see list! Great seafood, atmosphere and a cold one are the major points here. Plus it's nice a close to the beautiful beach. The bar is cash only, but there is an ATM. There is nothing quite like watching these beautiful and engimatic creatures migrate past the island. If you are holidaying between June and November, this is a must do. 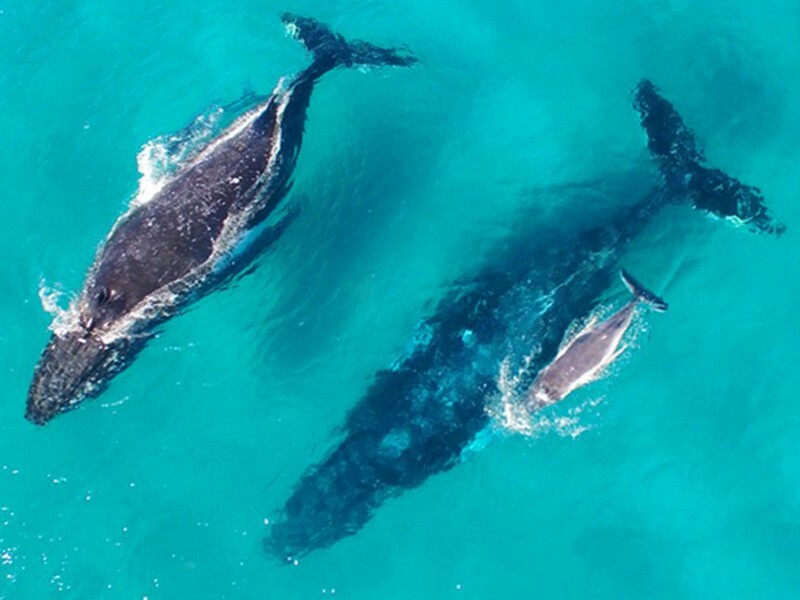 You can choose between land based or boat cruises, or if you've got some time, simply gain high ground and whale spot from a good vantage point. No island holiday is complete without a massage! Or another type of relaxation treatment, so head over to the Massage Hut at Tangalooma Island Resort to be appropriately pampered on your time off. If you like to multitask, this is a great activity for you. 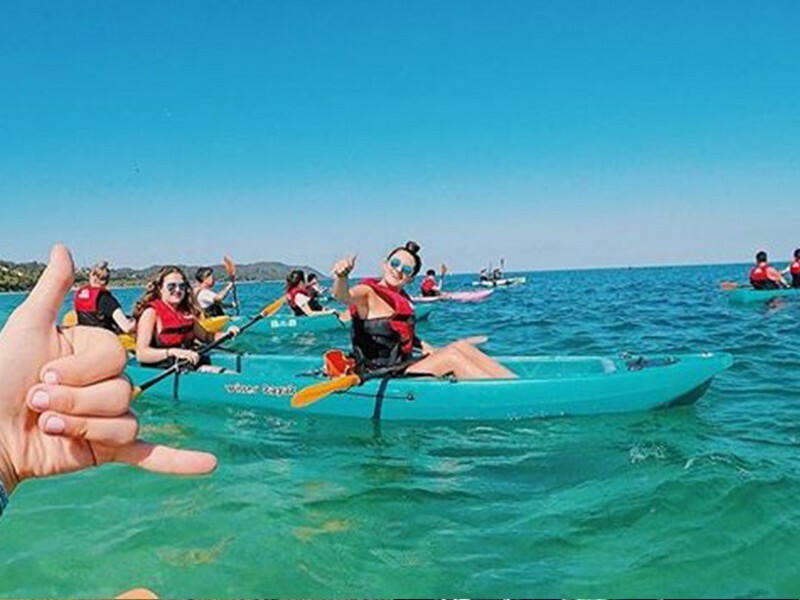 You'll be getting an incredible adrenalin rush alongside some of the most amazing views of Moreton Island, the wrecks, and wildlife from your seat! 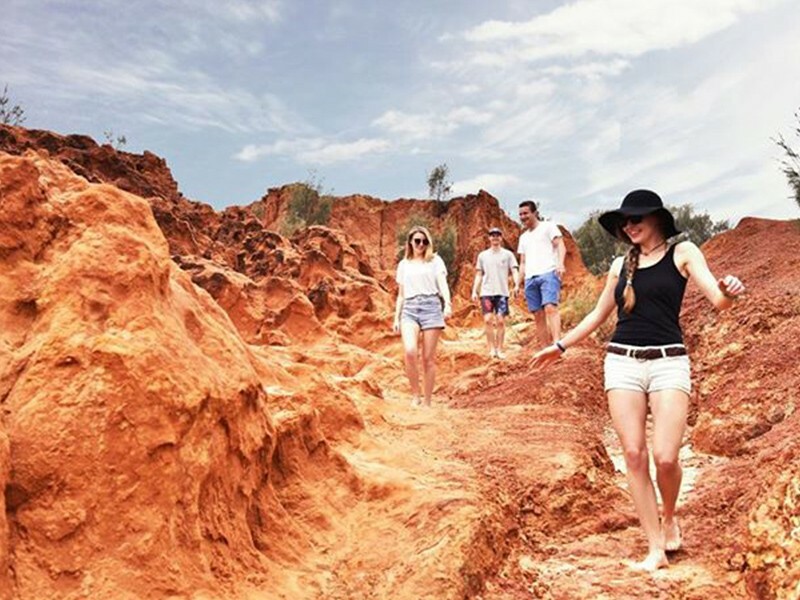 History buffs will thoroughly enjoy discovering some of the oldest sites in Queensland! These resting places of those who perished at sea are situated under 1 kilometer from Bulwer, surrounded by wrough iron fences with sandstone headstones that have been standing since 1883! 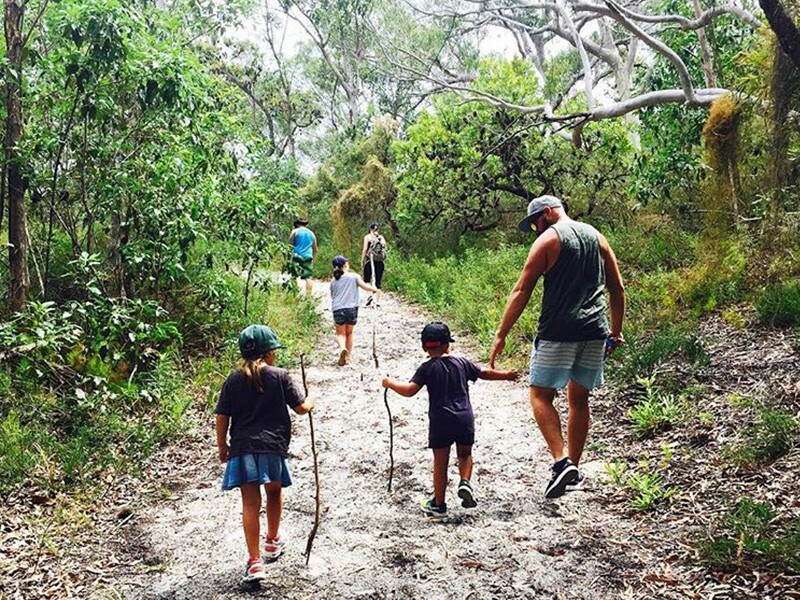 This is a great walk for smaller kids as it's just 1 kilometer return up a sand dune that takes approximately 30 minutes. You'll be rewarded with sprawling views across Heath Island, the coastline, and the Five Hills inland terrain. Moreton Island is a fishing paradise! Whether you are dropping a line in from the shore or watercraft, you are sure to enjoy yourself. Just be sure to fish in the right spot as the area surrounding Moreton Bay is marine park. Green zones are no fishing areas, while yellow zones are what you're looking for (limited to two lines and two hooks per person). Zoom across the sand on your very own self balancing transporter! As well as a great video and picture, this is an awesome activity to see the island and try something new. 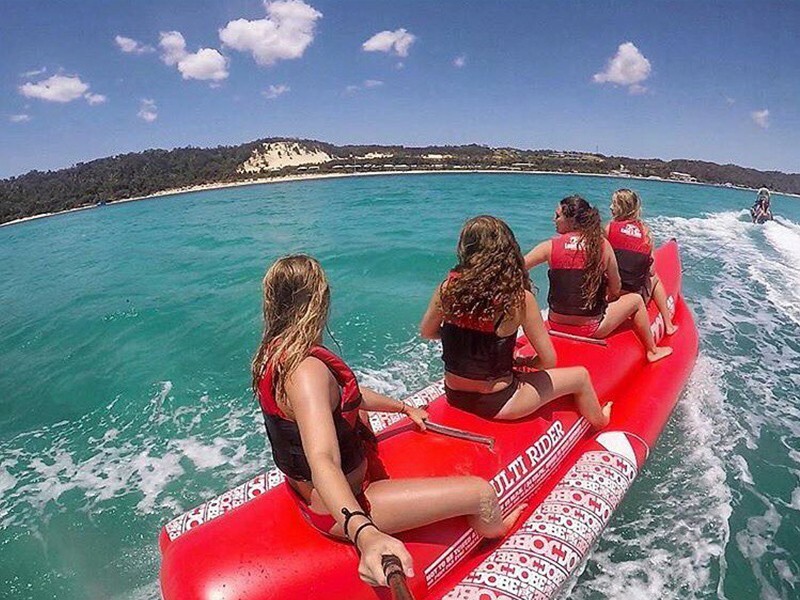 Another one for the young, or young at heart - test your endurance and balance on a giant banana zipping across the turquiose waters of Moreton Island. 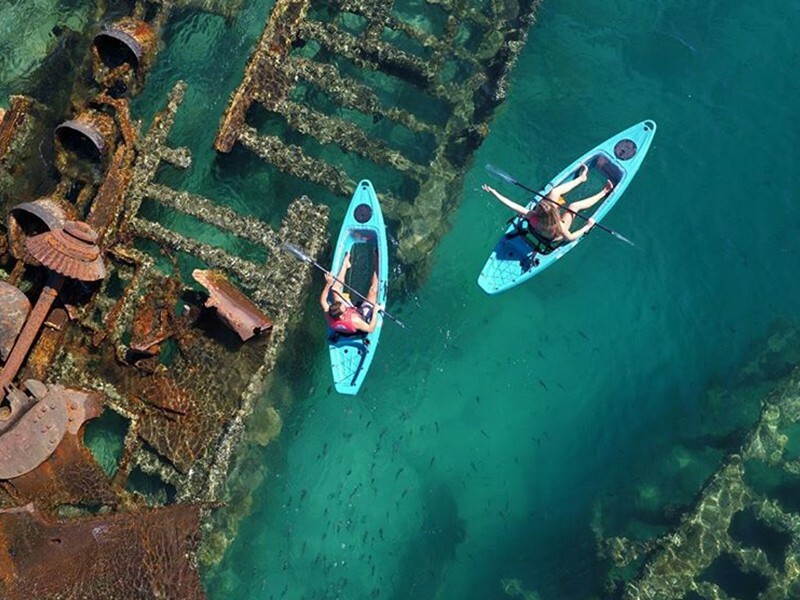 Explore the Tangalooma wrecks with ease on a 1.5 hour Sea Scooter safari. These zippy machines will propell you through the water around the 15 sunken vessels and the tropical and sub tropical fish. The tour includes wetsuits, snorkel and mask, fins, and the scooter! 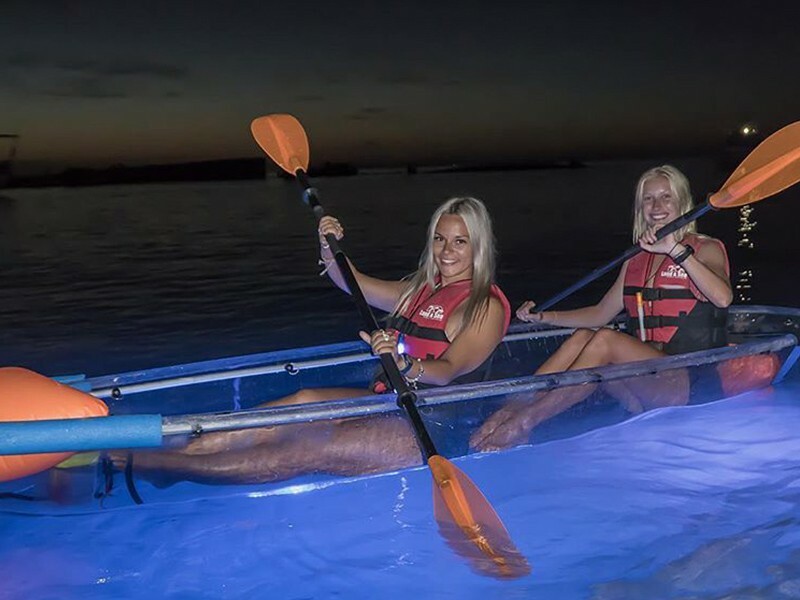 This unique tour takes guests out to the wrecks under the cloak of night to unviel the noctural life below on an glass bottom boat with underwater lights. Each morning the Tangalooma Eco Rangers feed the local Australian pelicans and sea birds on the Tangalooma Jetty while delivering a talk about the cheeky and charismatic birds. Explore the island at your own pace on a catamaran! You can discover your own secluded spot on the beach, enjoy a spot of fishing, or simply enjoy some sailing time with your loved one. If you've not sailed before, you can just join one of the TangaTours catamaran briefings to see a demonstration. 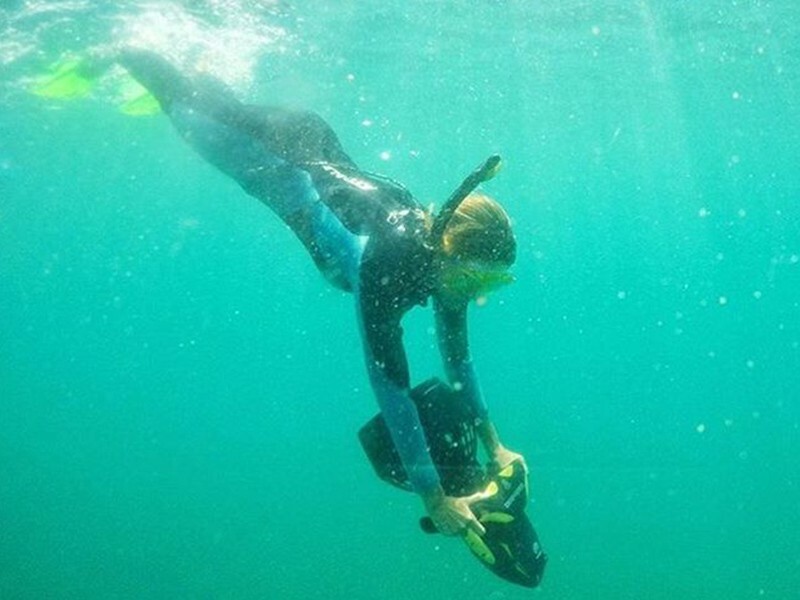 Enjoy the spectacular waters of Moreton Bay on a purpose built catamaran searching for dugongs, dolphins, sea turtles, rays, sea cucumbers and more while the eco commentary explains the habitats and behaviours of the local creatures. A haven for 4WD adventures, this island is a treasure trove of beach stretches, bush tracks, and lagoons waiting for you to explore! 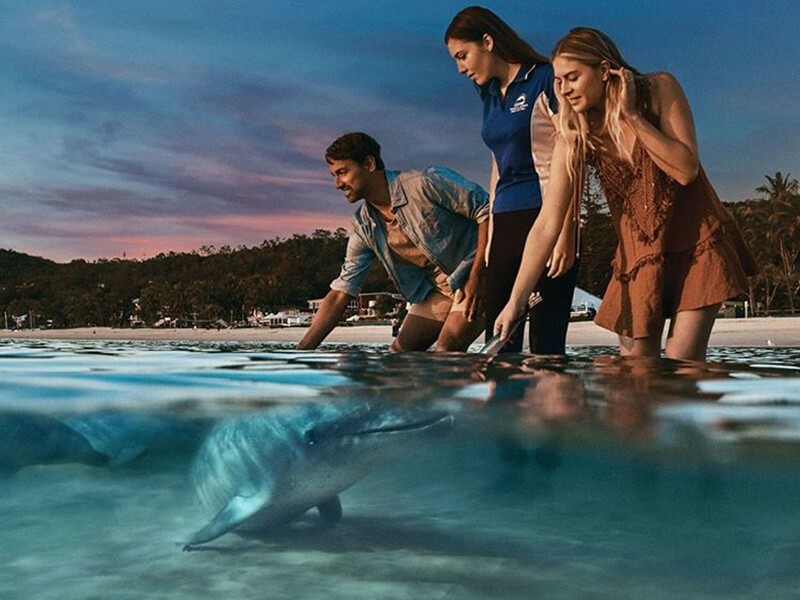 Either drop by or jump on a free tour to learn about Tangalooma's transformation from a whaling station devastating to the species in the 1950's to becoming a home to sustainable whale watching tourism and conservation. Another great activity for kids, this 60 meter stroll from the car park takes you to a viewing platform of the lake that is frequently covered in waterbirds. 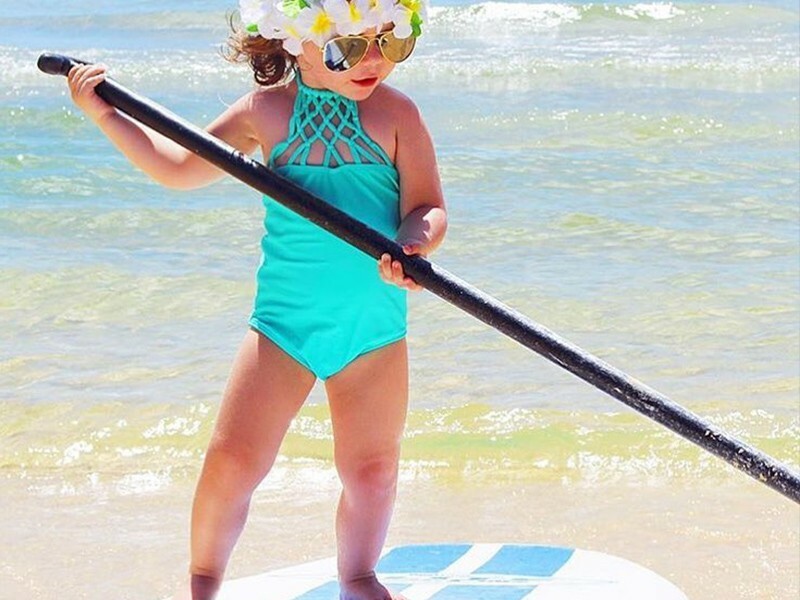 One of our favourite water activities, you get to burn some calories, enjoy the water, and potentially have a paddle fight with your kids or loved one! Feeling inspired? Book your Tangalooma Island Resort holiday today, call us on 1300 788 553! Tours mentioned are booked via TangaTours online or at the resort.